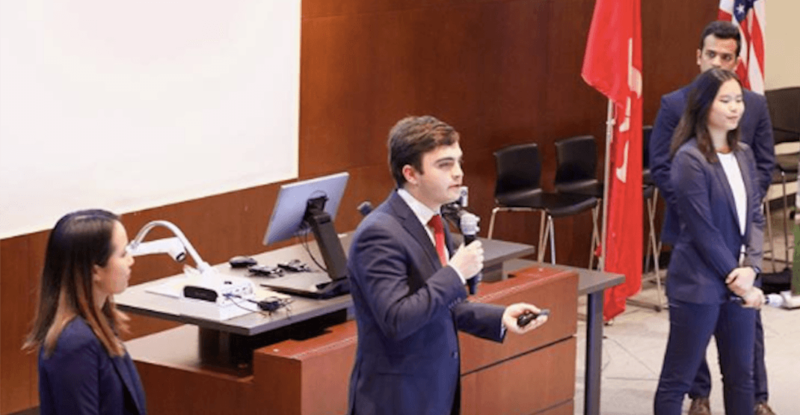 A total of 16 schools from around the world recently took part in the Sauder Summit Global Case Competition, held at the UBC Sauder School of Business. The event was part of the Sauder Summit, a weeklong, volunteer-run global case competition where students from 16 elite business schools around the world participate in Sauder’s most prestigious competition. The case competition consisted of three cases sponsored by different companies. Through the competition, students also had the opportunity to attend social events planned by the organizers. According to organizers, case competitions such as this provide an opportunity for students to apply skills and knowledge gained throughout their education by working on a “real world” case from a company. Teams are given case studies describing business problems faced by Canadian companies and not-for-profit organizations. The teams then perform research and ideate to create the most effective solution under a time constraint. This solution is presented to a panel of judges through a verbal presentation. The judges, consisting of industry professionals and executive members of the case and sponsor companies, ask questions to challenge the recommendations and rank the teams based on their analysis and strength of their recommendations.